With about 24 hours to prepare, both solar and energy efficiency advocates responded in a big way for the RETC hearing on Friday, June 2. Nearly 50 support letters were e-mailed to the committee in advance of the hearing - a huge show of support. Special thanks are due to Shaun Franks of True South Solar in Ashland, Bob Westerman of IBEW in Coos Bay and Sam Beeson of Mitsubishi Electric in Seattle all showed up in person to testify. Their efforts were rounded out by 6 or 7 others all testifying in support of extending the RETC. Our chief sponsor, Rep. Rob Nosse (D-Portland) led off the hearing with his usual strong statement of support, saying how important the RETC was for both the solar and efficiency industries and to address climate change effectively. Rep. Ken Helm (D-Beaverton), the chair of the House Energy and Environment Committee where the RETC bill started, also testified and urged the Joint Tax Credit Committee to continue the work that his energy committee did to extend the RETC. Post-hearing, we are in the process of checking with each member of the tax credit committee to see whether any have issues that would need to be addressed in order to vote for a RETC extension. We should have those details mid-week. We will use that information to develop an amendment to make the needed changes to gain the votes to pass the bill. We are also continuing conversations with the Governor's office. 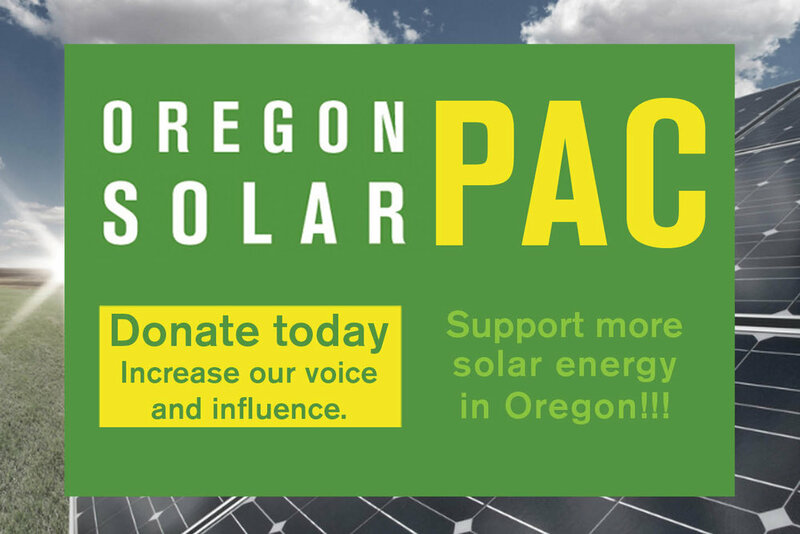 The director of the Oregon Department of Energy (ODOE) did re-iterate the agency's opinion that the tax credit should be allowed to sunset. The Governor has said she appreciated the direction of the amendment adopted in the House Energy Committee but has expressed a desire to move the program out of ODOE. No one is opposed to this. We hope to get some direction from the Governor about which of her agencies she'd like to place the program. We received word that only bills that have a chance of moving are being heard so it's good that the RETC bill is in that mix. All indications that things will move quickly starting late next week. We are also still working to identify the funding for a RETC extension. So, stay tuned...calls to action will come quickly. Again, thank you for the broad support to extend the RETC! That support is definitely noticed. It is the reason that the issue is still alive. Onward!